The public will never know the truth behind some of the most basic facts about the nation’s worst nuclear disaster nor the actual amount of radiation that was released. Those were some of the messages underscored on Monday by the head of Three Mile Island Alert, an anti-nuclear advocacy group, and other advocates at a press conference in the Main Rotunda of the state Capitol. 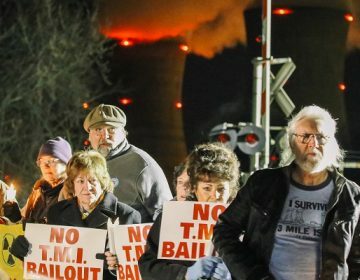 Just days shy of the 40th anniversary of the partial meltdown at the Three Mile Island nuclear plant in Londonderry Township, TMI Alert’s Eric Epstein excoriated the nuclear industry for misrepresenting the facts of the accident, and in the process misleading and misinforming the public. Epstein was joined by Tim Judson, executive director of Nuclear Information and Resource Service, and Arnie Gundersen, a nuclear engineer, who over the years converted from a proponent to an ardent critic. 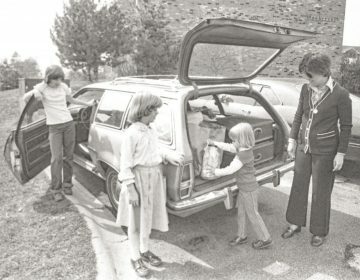 Judson and Gundersen outlined the chain of events that took place on March 28, 1979, the start of the partial meltdown, as well as the levels of radiation released and the subsequent impact on the health of the region. Judson said the Three Mile Island story amounted to a “mistelling of history” of what could have been a preventable accident. He said that as a result of inconsistencies provided by the nuclear industry, the public was not given – nor will never have – a clear picture of the facts and the risks surrounding the meltdown. Gundersen explained that because inadequate radiation monitors were in place at the time, officials were never able to get an accurate reading of radiation levels. All analysis of radiation releases were based on mathematical corrections to estimates derived from off-site dose readings, he said. “How much radiation was released? 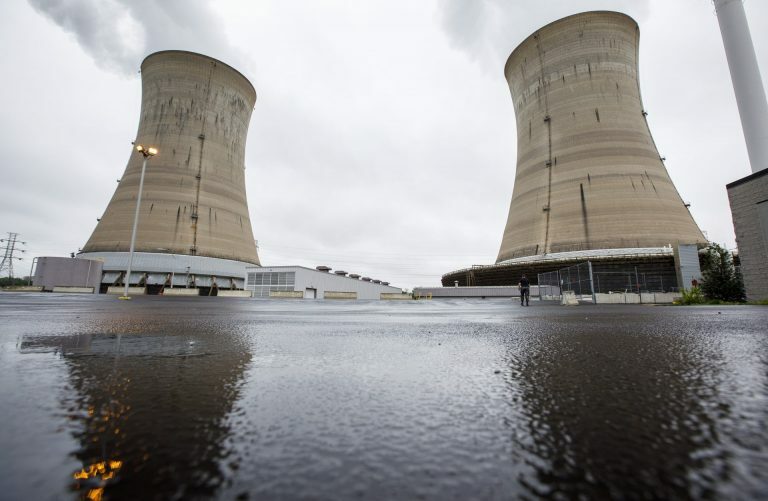 Nobody knows,” said Gundersen, who began a change of heart on nuclear energy in the 1990s when he served as an expert witness for plaintiffs in a lawsuit against Three Mile Island. He is today chief engineer of Fairewinds Associates, an advocacy group for clean, renewable energy. The Nuclear Regulatory Commission has long stood by its 40-year-old estimate that 10 million Curies of radiation were released. The NRC has also long held that the radiation released during the accident was well within levels deemed safe. The industry has reiterated that no one died or was harmed as a result of the accident. Gundersen said that according to his own analysis of raw data, he calculated that 10 times that amount was released. Epstein further excoriated legislative efforts to “bail out” Pennsylvania’s nuclear power plants, including Exelon Corp., the current owner of TMI-1. 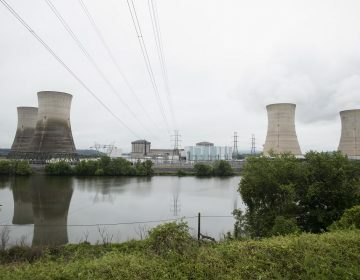 He said proposals to bail out the nuclear industry in Pennsylvania – to the tune of nearly $3 billion – were “fundamentally and manifestly unfair,” adding that Three Mile Island Alert categorically opposed any bailout. Proposed legislation would lead to the reclassification of Pennsylvania’s nuclear plants as “zero emission energy” and create new requirements on how electric companies purchase power. Among the members of the audience, were several visitors from Fukushima, Japan, site of the 2011 post-tsunami nuclear disaster that led to the evacuation of a quarter of million people. “The same (tactics) used to minimize the damage and risk of health is the same between Fukushima and TMI,” said Hiroko Aihara, a journalist from Fukushima. She said citizen engagement has been pivotal in the case of Three Mile Island and continues to be so in the Fukushima aftermath. “It’s very important to work together. To know we are not alone,” she said. Aihara said the Japanese people – like residents of central Pennsylvania 40 years ago – were not provided with the truth.